Paulus Swaen old Maps and Prints,Inc. specializes in maps, atlases and globes from the 16th - 18th century. Our firm has an ample stock of maps of all parts of the world, produced by renowned cartographers, such as Ortelius, Mercator, Blaeu, Janssonius, Hondius, Visscher, de Wit, etc. Furthermore we are dealing in atlases, globes, travel books and Medieval manuscripts. 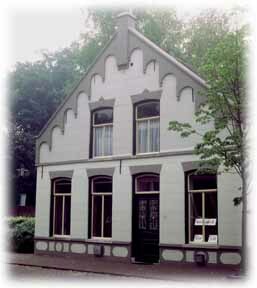 The firm was founded in 1978 in the Netherlands and the Gallery was housed until the middle of 1997 in a lovely old building. Since 1996 we started to produce our catalogues on the Internet and a map auction division was added at that year. The business is currently incorporated in London, UK. We travel around the globe, doing Antiquarian Map fairs in Miami (February), London (June). The best way to contact is by Email: paulus@swaen.com. We are member of I.M.Co.S., B.I.M.C.C. and the Philip Lee Phillips Society, Library of Congress. Paulus Swaen, Ltd is a limited liability company, registered at Companies House, Cardiff under registration number 9726713. A list of members is available at the registered office address at 9 Mansfield Street, London W1G 9NY. We find that many of our clients these days come from the corporate sector. Many business headquarters would rather have antique maps on the walls of their boardrooms than abstract modern art, because they tend to fit into the traditional office environment. The high standard of quality of our collection of maps and atlases is world-renowned and 80% of our business is by mail order. Since November 1996, we offer an on-line internet auction for old maps, prints, globes, travel books and medieval manuscripts. Auctions are taking place in March, May, September and November. When collecting items in the range of over 500 dollars US, or more commonly in the thousands of dollars, our personal feeling is that it is better to buy first-class quality. While it might seem attractive to buy a heavily restored copy for less than the cost of a top quality item in original colours, in the long run you're much better off with the first-class quality. A certificate of authenticity will be produced for every sold item. "Famous Mapmakers". (On a regular we will ad more mapmakers to this list, please contact us should you have any suggestions.). Experience has taught us, when selling an item of good quality you only have to take price, than it is easy to make a deal. Remember this when selling your collection!